We are pleased to share with you the quick facts and key service calls statistics in 2016 to reflect on our work last year. 9, 264 service calls were handled in 2016. The demand for the IT support service is increased significantly. 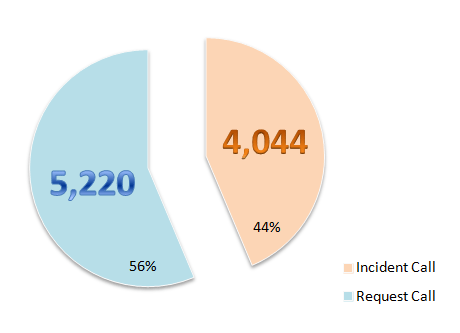 Among all of the service calls, 4,044 were Incident Calls and 5,220 were Request Calls. Incident Call refers to the service calls made by users for technical support on resolving problems they encountered. 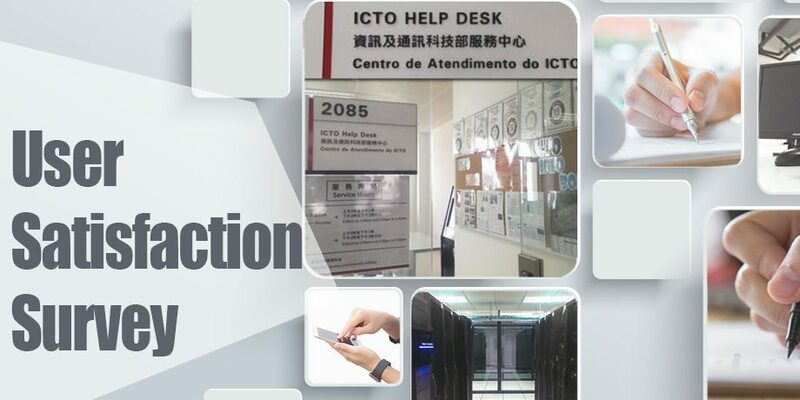 Request Call refers to other kinds of service requests we provide to users such as new installation of IT equipment for new staff, upgrade of equipment, technical support on activities or seminar held by the University etc. 98.06% of service calls were solved within service target. ICTO offers Windows 7 32-bit and 64-bit for new models of desktop computers and notebooks to cater the needs of UM users. 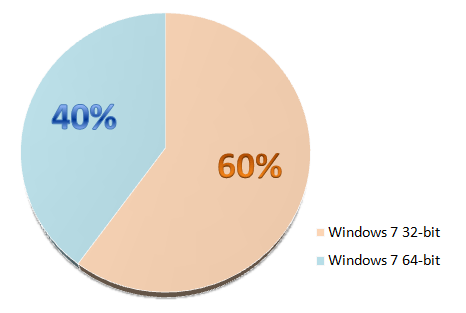 In 2016, 39.98% of computers were installed with 64-bit Windows. 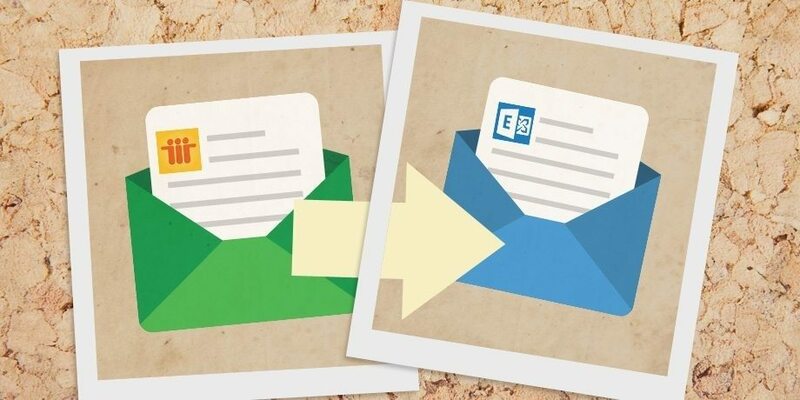 All staff email accounts were successfully migrated from Lotus Notes to Microsoft Outlook. 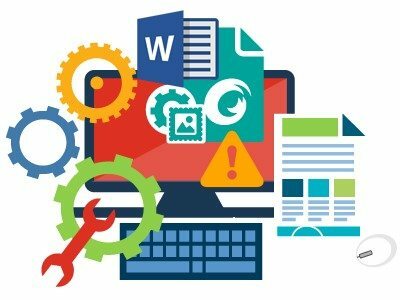 Due to the end of support and security updates from Microsoft, ICTO has upgraded Microsoft Internet Explorer (IE) from version 8 to version 11 for ICTO equipment. 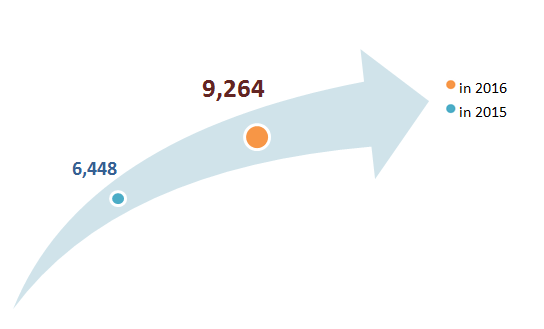 93% of computers of ICTO are upgraded to IE11. + Could You Guess What Type of Call Counted the Most Among All Service Calls? 941 service calls were solved by Remote Support Service in total. 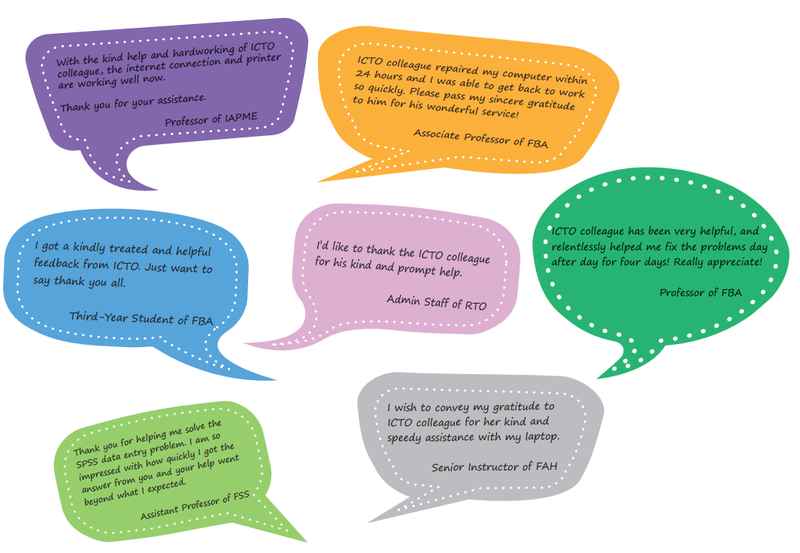 We would like to take this opportunity to thank the academic, administrative staff members and the student users for their feedback and comments. Here are some compliments we received in 2016.